Always with an ear for the more abstract and otherworldly electronic sounds of the day, Cadenza Lab continues to push new artists with interesting ideas. 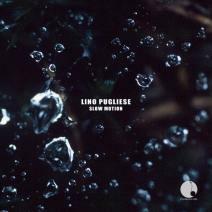 Italian producer Lino Pugliese offers up two unique cuts on the ‘Slow Motion’ single for Luciano’s Cadenza offshoot label, having already made an impression on labels like Memento and Inside Orion (alongside fellow Cadenza collaborator, gAs). ‘Slow Motion’ is a perfect mood setter, its hazy ambience and jazzy licks wrap around a dusted beat, as the arrangement takes its time to blossom into an intelligent deep house cut. The splashes of FX and warm keys are propelled with deep end bass throbs and the whole track springs into life with dubbed out vocals and hand percussion. ‘Mood Edit’ strikes a heavier blow, crunchy, rolling hats, distorted claps and discordant atmosphere plough over a medley of jazz hooks and freestyle keys, the double bass riff giving the temp a perfect swing. With other new material already signed to the Cadenza labels, Lino Pugliese looks set to become a welcome fixture on the label’s roster, so expect more abstract dance from him.